I am so happy to announce the upcoming publication of the book, Discerning the Times: Exposing Satan’s Plans in Radical Islam, available on Amazon in July. This is Book I in the series: A Prayer Strategy for Jesus’ Victory Over Radical Islam. It lays out Satan’s strategies. Book II, A Prayer Strategy for the Victory of Jesus Christ: Defeating the Demonic Strongholds of Radical Islam will soon follow. It gives prayer strategies to cooperate with God’s plans to overcome these demonic strongholds. Although both books focus on a specific issue, the principles given can be applied to many other spiritual conflicts. Thank you so much for your prayers and support for me and the editorial team during this long process of developing and implementing this prayer strategy and writing the books. While this project has required a lot of research it has not taken place within the safety of the library but on the spiritual battlefields of engagements with the demons building the strongholds of Radical Islam. The purpose of these books is to take part in the Holy Spirit’s work of mobilizing, equipping and deploying an army of intercessors for the purpose of defeating the works of the Devil and advancing the Gospel of Jesus Christ. Please join us in praying that these books will reach all those worldwide that Jesus is calling into His prayer army. As you can well imagine given the topic and the exposure of disturbing truths, this is not without some natural and supernatural dangers. So we would appreciate your strong prayer covering of us involved in this prayer mobilization. Is God calling you to the Mountain Top Equipping Camp, August 9-13 2016 at the Community of the Cross? Ok! I know it is a funny name for this intensive equipping event. It started as a “boot camp” but that did not seem right. So I asked the Lord, “Ok, what do we call this?” There came to my mind the image of Moses , Aaron, and Hur up on the top of the mountain, doing the work of intercession for Joshua and the army fighting the Amalekites in the valley. While the battle that day was won, the Amalekites have been a biblical symbol of those who use the sword and death to oppose God’s chosen people advancing the Kingdom of God in the world. In our day, it is the demonic strongholds of Radical Islam that are using the means of death and subjugation to block the advance of the Kingdom of God by declaring war on Jews and Christians and all cultures based on our Judeo-Christian values. This Mountain Top Equipping Event is to prepare us to do our part in this war. Are you being called to join in this equipping? The teaching will be based on introducing and practicing the Prayer Strategy for Jesus’ Victory over Radical Islam. You may not be called into high level intercession or even be an intercessor at all to need this. Notice that in the story of the Battle of Amalek, in addition to Moses the intercessor, there were many others playing different roles who were part of God’s army needed for victory. 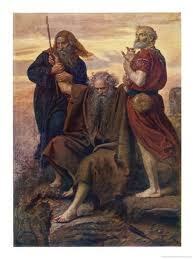 Aaron and Hur supported Moses in intercession on the hill. In the valley Joshua was supported by a whole host of soldiers. And the rest of the community supported those on the frontlines. What this means is that God will have a special role for each of us in this great battle of defeating Radical Islam and advancing the Gospel into the entire Muslim world. But all this work of prayer is more than these battles! It is taking part in the great waves of the Holy Spirit that are at work in the world today growing the Church and fulfilling the Great Commission. How is the Lord calling you? If you are seeking guidance on this or do not know how you may fit in please send a note to Cindy Strickler (cindy@prmi.org) or to Mary Ellen Conners (maryellen@prmi.org) and discuss with either of them what role you may be called to play. You can also contact them through the office at 828-669-7373. Please support us in praying for the event. To get regular updates from Martin Boardman on prayer requests and progress, please sign up here. Join us onsite or offsite. To register click here. We hope you can join us onsite at the Community of the Cross, but if not, we will send you information about how you can join us over the internet for both the teaching and times of intercession. We need financial support for this event; as a pioneer event it is very expensive. We have also invited several special guests who bring experience and networks that can build this work, but need financial support to take part. 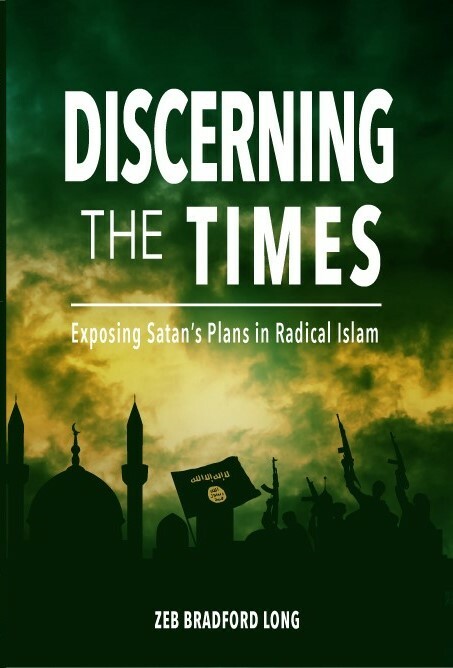 To thank you for helping us with this, for a gift for any amount I would like to send you a copy of the new book, Discerning the Times: Exposing Satan’s Plans in Radical Islam**. You can donate online here. Thanks so much. I will confess that we are stepping out into this prayer mobilization with many apprehensions, but also in trusting Jesus Christ that as He calls he will protect, provide and guide. And we recognize that Jesus will do much of that through you, our friends and co-workers. So thank you!!! **Note: please mark your contribution “Mountain Top Event”. Also, be aware that, depending on the amount of your contribution, the amount that is deductible for federal income tax purposes may be reduced by the cost of the book provided to you in return for your donation.